MobOffer is a Chicago based startup helping consumers to get better deals on big-ticket items using group purchase power. Normally, volume deals are limited to resellers and corporations. This demand aggregation platform helps consumers to pool demand for products and services using social channels. As opposed to normal group deal sites, here the demand is initiated by consumers for the products and services rather than merchants. This has a business model like Massdrop. Socially promote your products and gain more customers without compromising too much. MobOffer encourages collaborative commerce within a social marketplace by offering general consumers the ability to access the lowest product prices possible by combining the best aspects of social incentives and bulk purchasing. 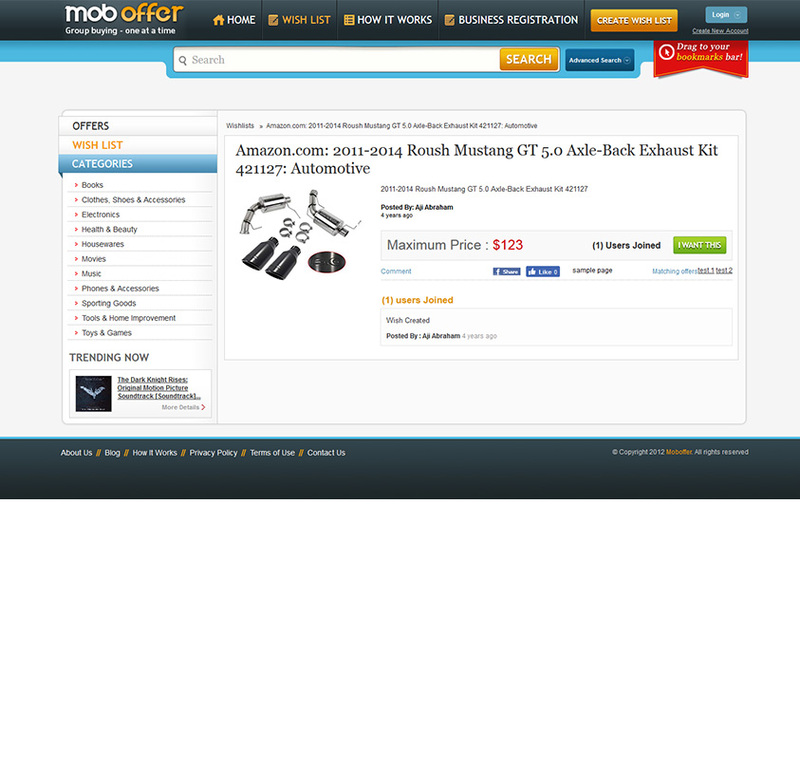 Add your products to the MobOffer platform to increase overall demand and gain valuable feedback. Customers experience the benefits of bulk buying by sharing products and MobOffer wish lists socially in order to increase in demand and fuel progressive discounts. Massdrop is another startup with very similar functionality and use cases. Business model for massdrop and Moboffer are clone to each other. 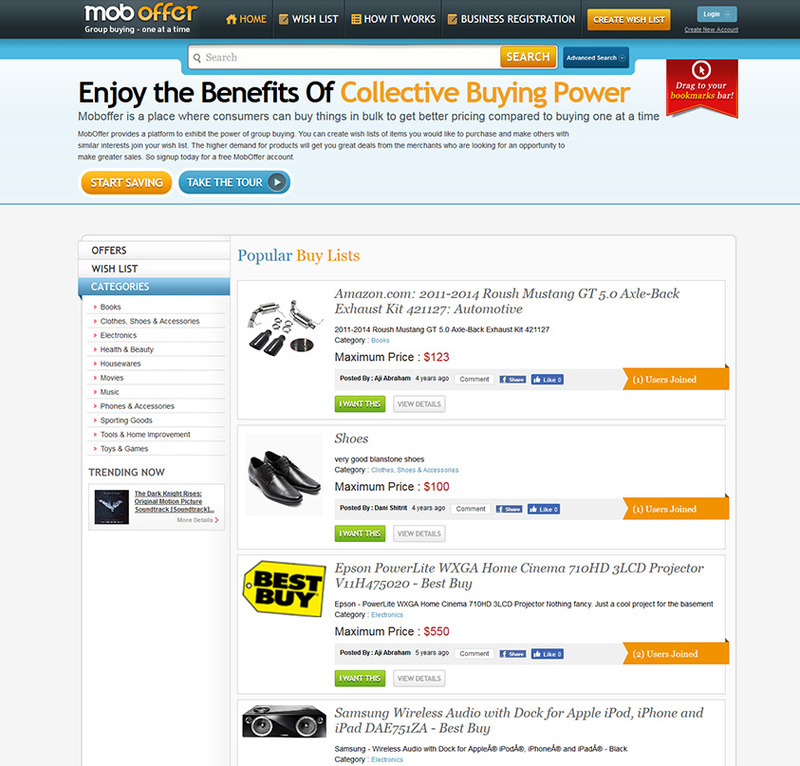 Using the convenient MobOffer button, users can add products from anywhere on the web to a MobOffer wish list. Users then join together through social media and email efforts to aggregate demand for these requested items. Once there is a high demand for these products, MobOffer automatically triggers merchants to offer a deal as an opportunity to make greater sales. 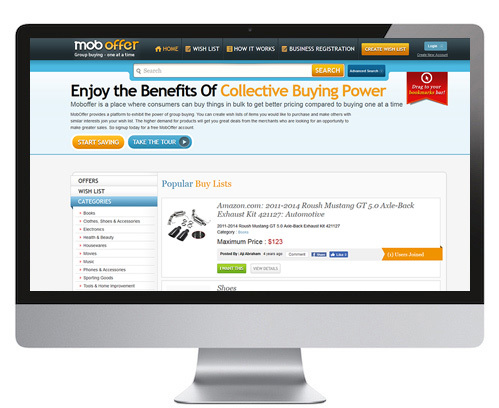 Take advantage of collective e-commerce and bulk purchasing by visiting MobOffer.com.